Skitbooks Manila. 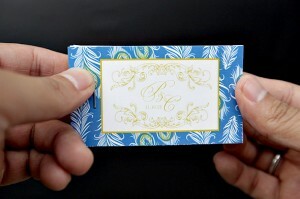 Flipbook Production at Weddings. 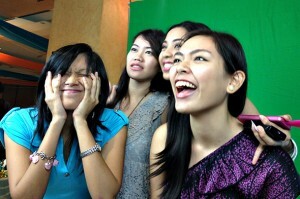 Donita Rose and Venus Raj trying out the Skitbooks. Do you want to add a new twist to your wedding reception that will keep your guests talking for months, even years after? Well why not try flipbooking? 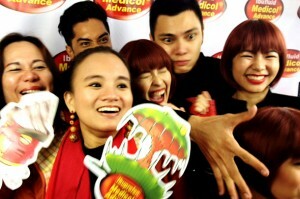 This is an amazing new trend that has taken America by storm and is now being introduced in the Philippines as well. It is not just for weddings but any social occasion in your life where you want your memories stored forever. Flipbooks have superceeded the old photobooths where guests would go to have their photographs taken to give the bride and groom a photographic record of everyone who attended their wedding. An area is set up at the reception approximately 10 x 10 ft by a standard wall with a video camera, a touch screen monitor and studio lights set-up. 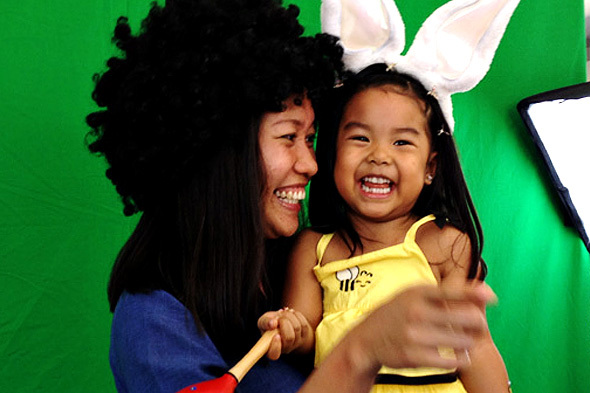 Guests are invited to make a 7 second video, they can hold props, placards or anything relevant to the wedding. These are made into a flip book that the bride and groom can have as a unique record of their wedding. 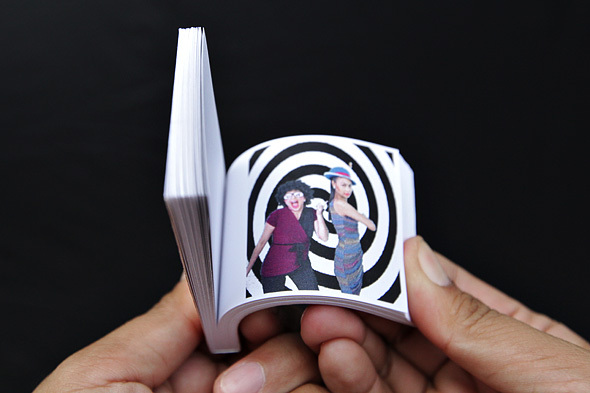 40 flipbooks can be produced in an hour so guests can be given a personalized memento to take home. Many adults will remember having one as a child which they would flip through and watch the animated objects actually move as the pages were flipped. A normal picture of a ball would bounce through the pages just by placing the ball differently on each page. 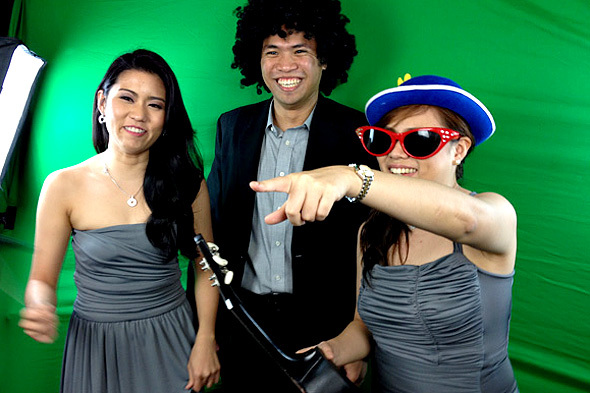 Flipbook production is quite simple and is an ideal additional attraction at your wedding reception which will keep all your guests amused as they flip through them. They also create a great deal of fun for the guests as they line up to face the camera. If any of them are particularly shy they can go up in a group and they will soon lose their inhibition. A flipbook can also be created at outdoor weddings although the area has to be covered to protect it from sun, wind and rain. If there is a sudden change in the weather the printer and computer will have to be moved indoors but it is very unlikely the guests would want to remain outside in the rain. Each flipbook comes with a custom cover that is personal to that particular wedding and if there is a particular theme such as a medieval wedding or a color scheme the Skitbook will be produced to reflect this. 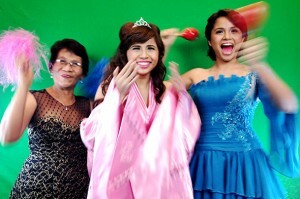 Guests will also be invited to hold props to suit that theme and add to the fun. Flip books will capture your special memories that will last a lifetime and the books will fit into your pocket so that you can take them out and show them to friends or invited guests who were unable to attend the wedding. It takes just a few minutes to print the video, put it through the cutter and staple it into a small book. Each wedding is individually priced as it depends on how far the flip book production team has to travel and whether it involves an overnight stay. Bride and Groom try Skitbooks Flipbook. Every bride who has engaged the Skitbooks flipbook production team for their wedding reception has been delighted with the product, the service provided and the finished product. It is not only the bridal couple who love the flipbooks, the bride and bridegroom’s parents love these keepsakes they get to take home after their offspring have started their new life together. How many times have you been to a wedding and watched the youngsters dancing to the disco or band and wished you could get up and join in? 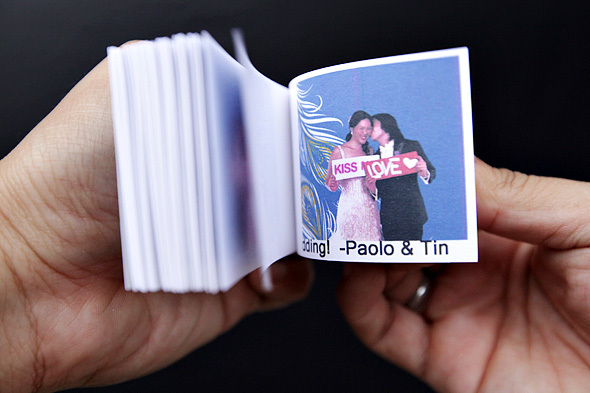 With flipbooks you can be part of the wedding whatever your age as they are suitable for all age groups from nine to ninety, that is the joy of them. You can also email skitbooksph@gmail.com or text and call 0917-940-4254. *Promo is valid for events until November 2009 only. To reserve the booth, a P7,500 downpayment is required. View the rest of the Quinones-Corales Cliquepics here. More Cliquebooth photos from Doug Kramer and Cheska Garcia’s Wedding. 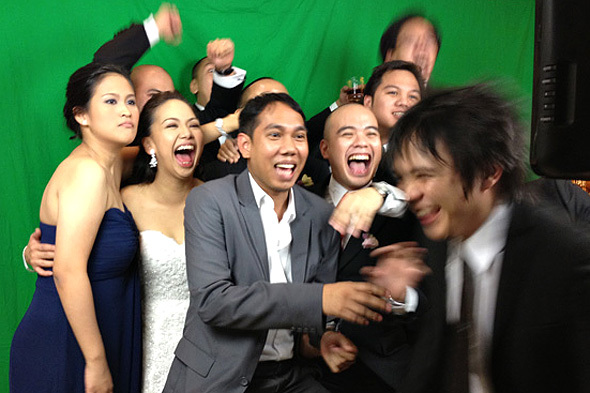 Jason Magbanua’s video of Garcia-Kramer Wedding.